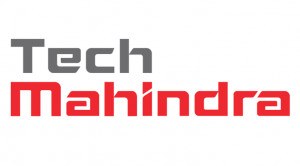 Tech Mahindra eligibility Criteria 2019 (on/off Campus) and syllabus pattern – Dear candidates in this article, we have discussed Tech Mahindra eligibility Criteria for on campus drive and off campus drive along with tech mahindra exam pattern and syllabus. You may check all the details below. You can download the Tech Mahindra placement paper and comment if any particular company placement paper is needed. Tech Mahindra on-off campus eligibility Criteria and syllabus pattern for fresher: Tech Mahindra is one of the top recruiter and renowned IT company having wings over 51+ countries. All the BE/B.Tech CSE, IT, ECE and E&I passing out students are eligible to attend the recruitment drive of Tech Mahindra. In this article will discuss about Tech Mahindra on campus and off campus eligibility Criteria and syllabus pattern for 2017 and 2019 separately. First of all, lets know the detailed Tech Mahindra fresher eligibility criteria. Education gap of maximum up to 1 year is allowed. Sometime Tech Mahindra keeps the 70% throughout totally varies college to college. Besides this basic qualification, candidate must possess clear all the round conducted by tech mahindra for a successful placement in tech mahindra. Tech mahindra recruitment drive process includes 3 separate rounds. Lets discuss each round in details. 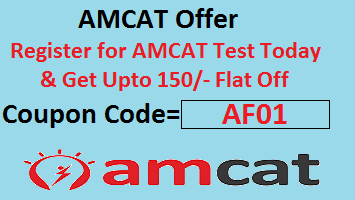 Level of written exam will be of moderate to difficult level. Total number will be 75, from English Language, Analytical Ability and Quantitative Ability sections with a time allotment of 60 minutes in total. for English section, Separate 40 mins will be allotted to solve reading comprehensions. This section also consists of basic grammar usage questions like fill in the blanks, synonyms, antonyms, paragraph completion, sentence completion, vocabulary, etc. The Analytical section (around 20 questions) will include data interpretation and logical reasoning skills. Also in analytical section there will be questions on puzzles, blood relations, statements & arguments, coding decoding, data sufficiency, pattern recognition, deductive logic, statement-assumption etc. Quantitative Ability(around 20 questions) section consists of questions from the topics like algebra, time & work, time, speed & distance, arithmetic, percentages, profit & loss, geometry, etc. In the Technical Interview session, one can expect questions on programming languages (like C, C++, Java), Data Structures, etc. In the HR round, General question will be asked like, tell me about yourself, favorite movie and place you recently visited. Also prepare about company biography. After that, an open GD session will be conducted based on the topics provided to each student. This session also includes questions based on the information provided in the CV of the candidate. Here we are done with Tech Mahindra eligibility Criteria and syllabus pattern 2019, for any doubts & clarifications please drop us a comment. I got 63% in class 10th….but I got 57% in my 12th result… Can I eligible for carousing??? sir i have completed my Xth with 92.6%,XIIth with 81%,B.tech 60%(with extension of 1 year). Am i eligible for job? Yes, Avinash, you are are eligible for IT jobs. prepare hard and give your best. sir I completed my 10th standard with 85% 12th standard with 94% and B.Tech with 58%.am I eligible for job???? Aravind, its depend on company to company.. some companies are hiring less than 60% in graduation some are not. Please check on/campus criteria of all the companies. Sir I got 85% in 10th and 75% in 12th and 7 cgpa in my btech degree(till 6th semester) and have a back paper in one subject. Am I eligibile for the recruitment process? sir!are the present final year students eligible? Sir,I’m a 2018 passout student. Is there any off campus drive conducting for us? I have a one backlog. Can i eligibility for your Company? Please Tell me. 85%,BE(EEE)with 7.24cgpa am eligible for this job sir??? Sir, Myself vaibhav & i scored 9.2 cgpa in 10th standard , 70.4% in 12th(non-medical) & around 73% in my B.Sc(hons.) CS (as result of 6th sem is yetto be declared) with 1 active backlog. Am I eligible for any technical job in Tech Mahindra.?? Can I know that MBA candidates are eligible are not??? I scored 7.2 cgpa in X and and 58% in Xll and now i am doing my b.tech. If i scored good in my b.tech results, will I be eligible for mahindra & mahindra or for TCS ? EEE branch is eligible for Techmahindra? ?